Butcher Babies hail from LA and they are most certainly a sight to behold. Female singers and especially screamers are still a rarity in the metal scene, let alone a band that has two! 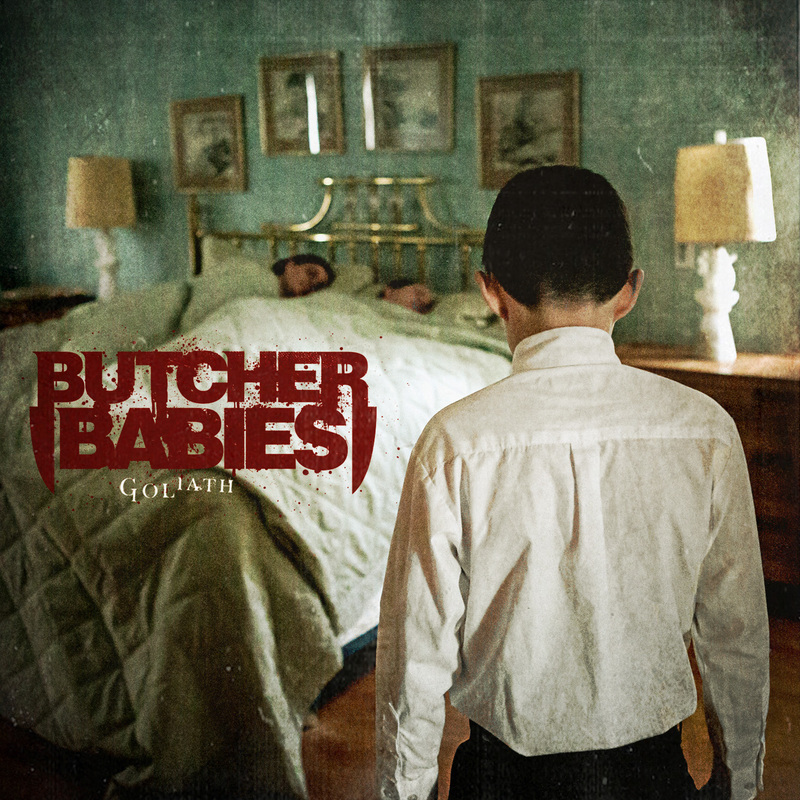 After releasing their own EP “Butcher Babies” in May 2012 the band got noticed by Century Media Records and they signed a contract in November of the same year. Last year they released their debut “Goliath” upon the world. From the opener “I Smell a Massacre” all the way to album closer “Axe Wound” the ladies and gents bring forth a relentless assault on theears, leaving only small breaks to catch your breath. Instrumentally-wise the band lays down a powerful beat and the ladies know how to do some great screams, although I’m less enthusiastic about their normal singing voices. It has the typical melo-dramatic singing that I often hear with metalcore bands and I’m not a fan of it myself. The word ‘typical’ is what fits most of the album. Most of it sounds like stuff you have heard many times before, with the only big twist being that there are two ladies singing now. If this album had come out some ten years ago during the high times of nü-metal and metalcore they could have gained a lot of attention and just due to their stage presence. But now it mostly sounds like rehashing things that have already done before and while that is nothing new (Hell, a lot of heavy and death metal bands thrive on the ‘old sound’), I’d say it’s a bit too soon to be revisiting the aforementioned subgenres. Don’t get me wrong, the songs aren’t bad at all; if you’d hear them in your local bar you would enjoy them and you’d perhaps sing along to some of the catchy choruses, but the music is not something that will stay with you long afterwards. The band is driven, the songs well-played and produced. The songs are catchy, but it’s nothing new. Had this album come out ten years ago it would’ve made some waves, but now it just seems to be a niche-release.